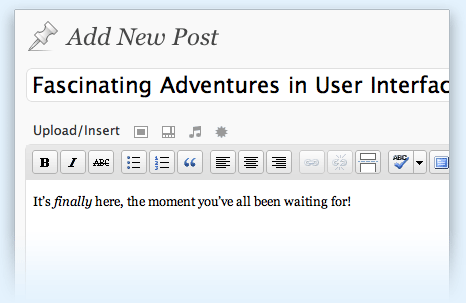 WordPress 3.0 was released today, and I am pretty excited for it. This blog is 3.0 in fact, though it doesn’t make use of many of the new features, I plan on building sites soon that will. This is a huge step in the right direction for functional, easy to setup CMS systems, without having to have the MASSIVE code and knowledge overhead of Joomla or Drupal. For most small/medium sized websites, I can see WordPress 3.0 being the new engine to build your custom site on.